At this year’s Gulfstream Park summer meet, average daily total handle on races run at Gulfstream was $5.51 million, according to HorseracingFLA’s review of Equibase charts for Gulfstream races. That was a decline of 1.8 percent from Gulfstream’s summer meet record of $5.61 million set in 2017. Total handle on races run at Gulfstream was $309 million for 56 days during the 2018 summer meet, compared with $292 million for 52 days during the 2017 summer meet. That news release did not provide details on the components of those “total handle” numbers. 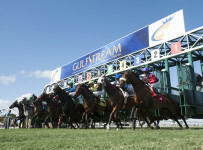 As of Friday night, Gulfstream had not responded to our request for a clarification. Average daily purses grew 3.46 percent from $336.8 million for the summer 2017 meet to $349.0 million for this year’s summer meet. This summer’s decrease in handle on races at Gulfstream can be attributed, in part, to rain and other weather-related conditions. 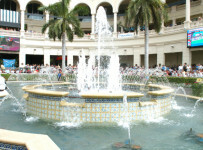 Gulfstream during this summer’s 56-day meet took 65 races off the turf due to rain and other wet conditions. During its 2017 summer meet, over 52 race days, Gulfstream moved 47 races from turf dirt. Total handle (also known as all-sources handle) is the combination of all legal bets placed on a track’s races. 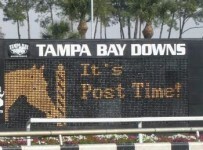 Breakdowns of components of Gulfstream’s handle for the two most recent summer meets are not readily available.